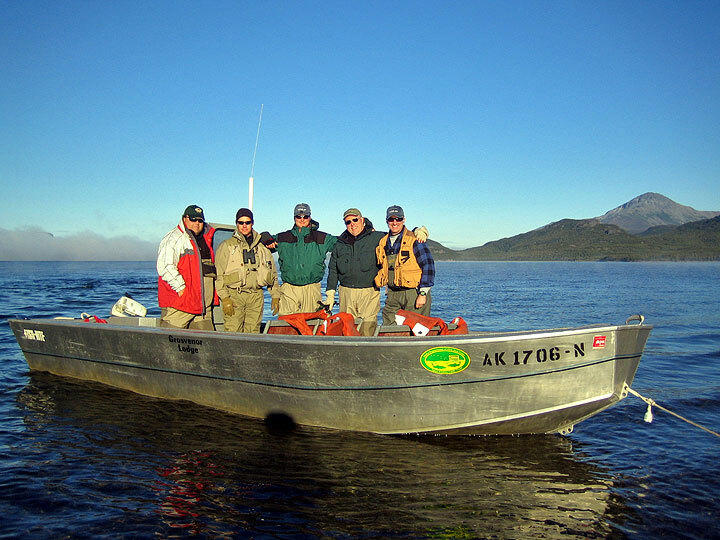 During your stay at Grosvenor, you will have jet boat access to several of Alaska's finest freshwater streams. 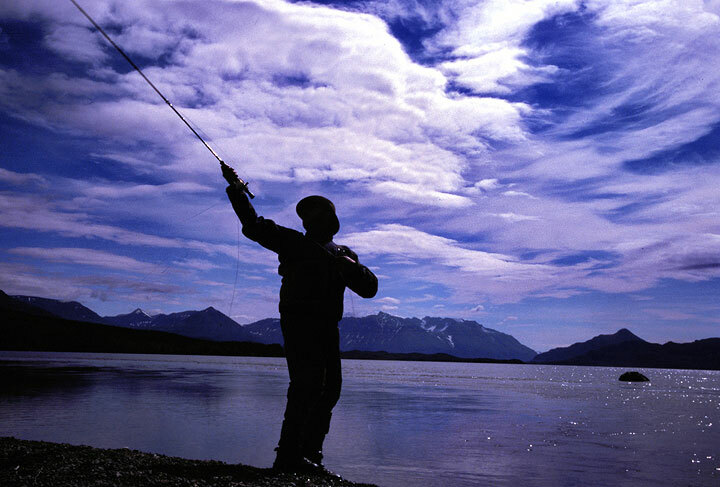 There will be opportunity to fish for Rainbow Trout, Arctic Char, Lake Trout, and Northern Pike. 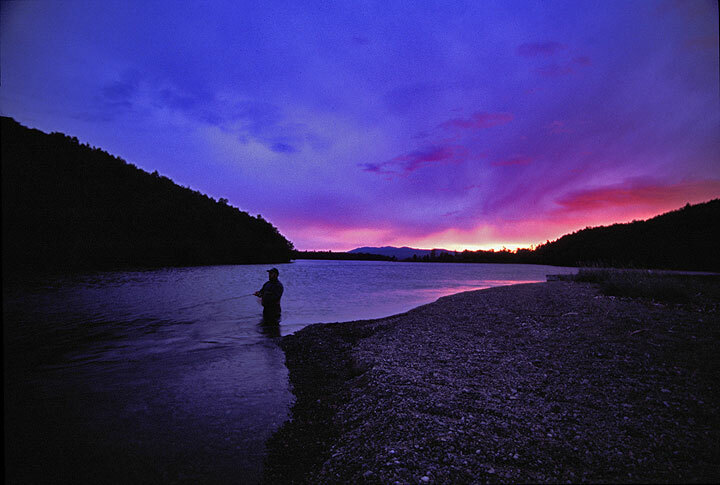 The narrows area (see map below) adjacent to the lodge provides excellent fishing. 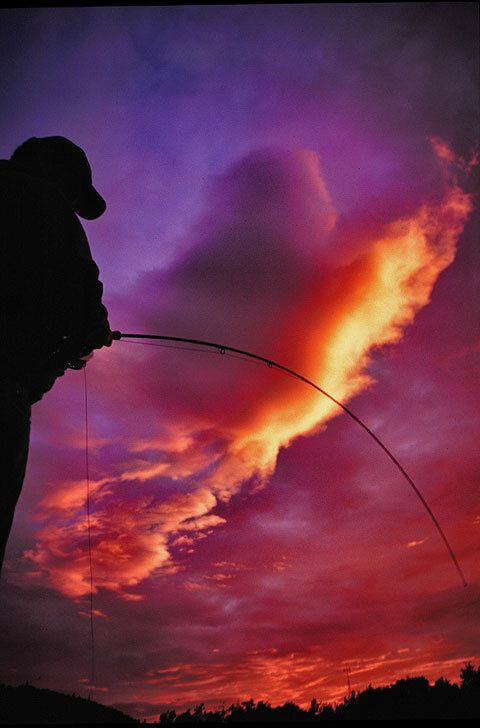 Grosvenor has access by jet boat to some of the area's finest fishing streams. 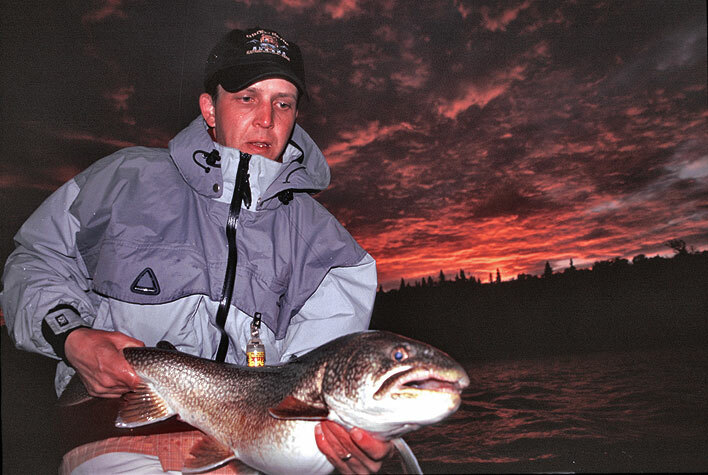 Two of the rivers accessible from Grosvenor are the largest spawning steams for sockeye salmon in the Naknek drainage, getting over 100,000 fish each annually. 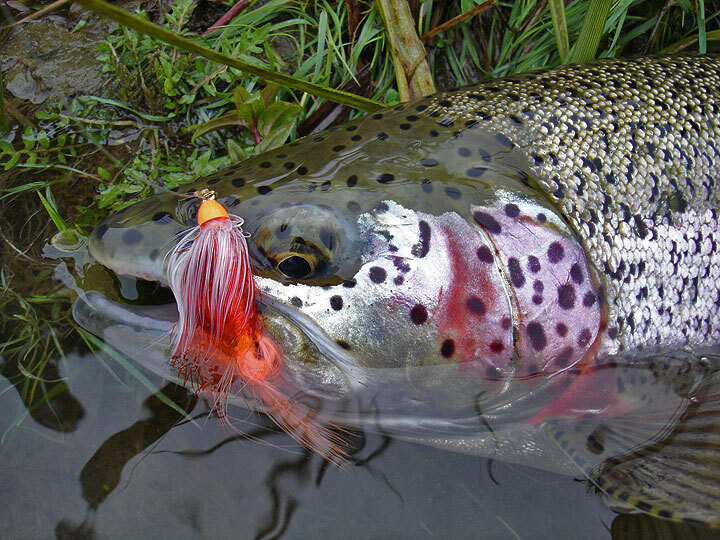 Sockeye and Silver Salmon are each available during a limited time slot; the last three weeks of July for Sockeye, and the first three weeks of September for Silvers. 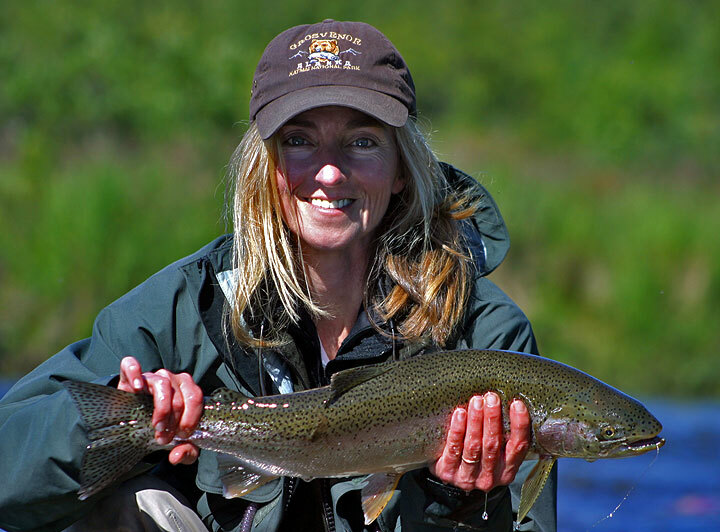 Including fly-outs during your stay can put you onto additional salmon and trout throughout the season. 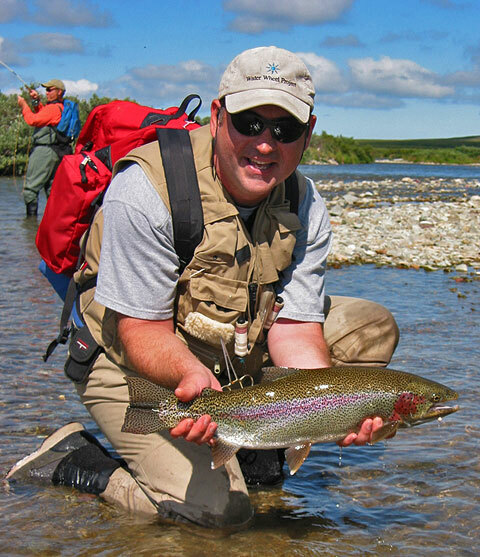 Katmai National Park is one of the last trophy sport fisheries in the world with a 100% native stock. 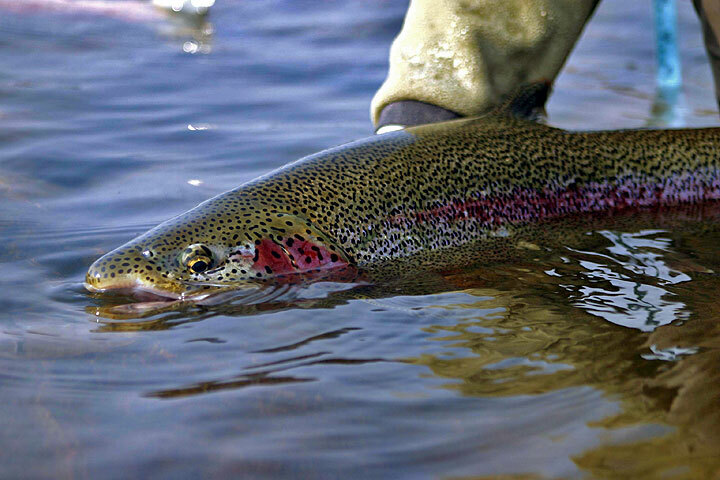 All hooks are barbless and only single hooks are allowed (no trebles) for the region. 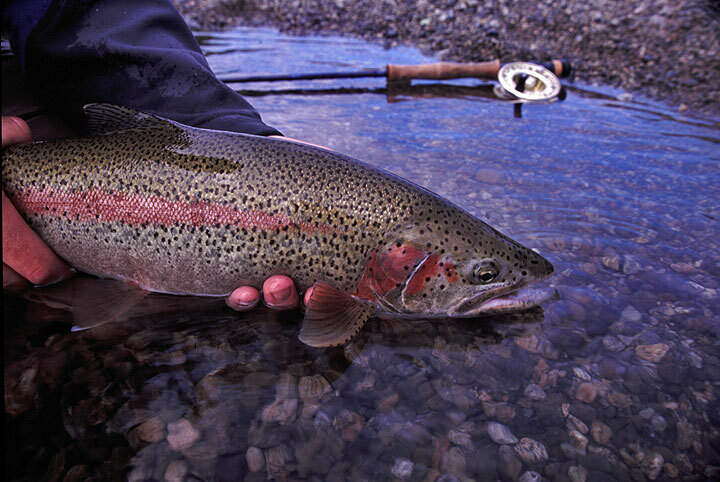 Grosvenor Lodge has a policy of catch and release only for freshwater species. 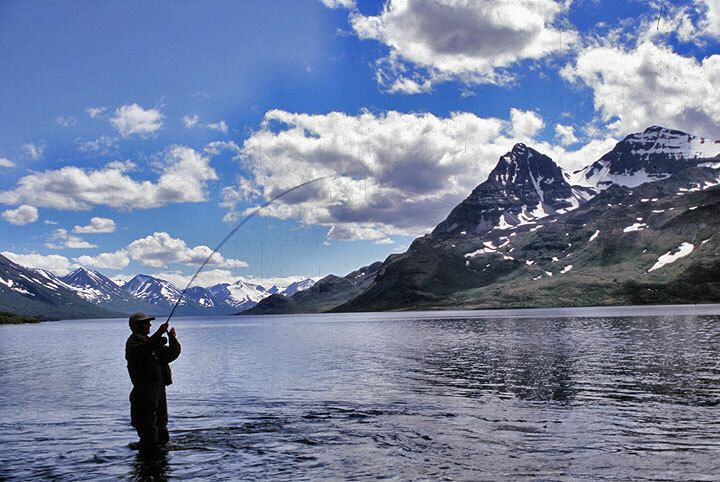 Guests may take home a limited catch of salmon depending upon the availability of the fish and the freezer space at the lodge. 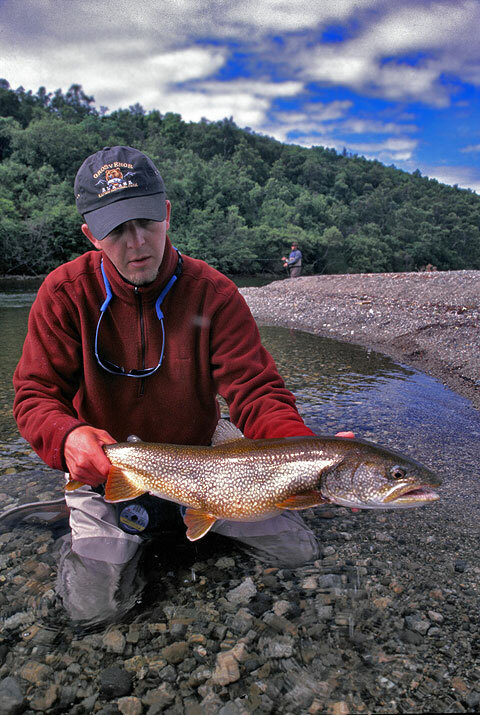 Upon arrival at the lodge, guests are shown proper fish handling techniques to ensure the vitality of these wonderful creatures. 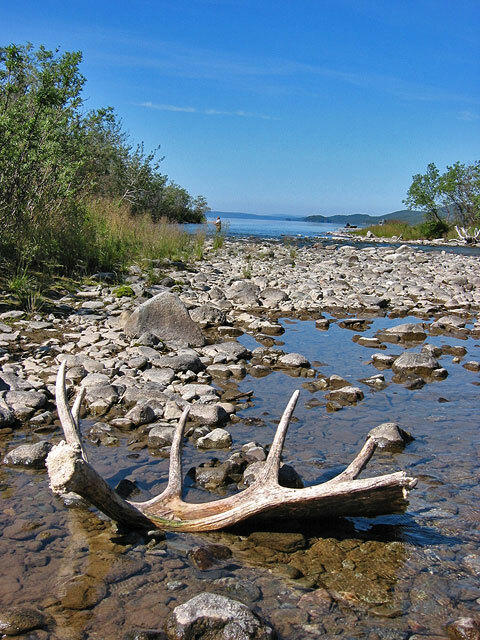 While at Grosvenor, wildlife viewing opportunities abound, so it is strongly recommended that you bring your camera or video equipment, binoculars, plenty of film (or memory cards) and batteries. 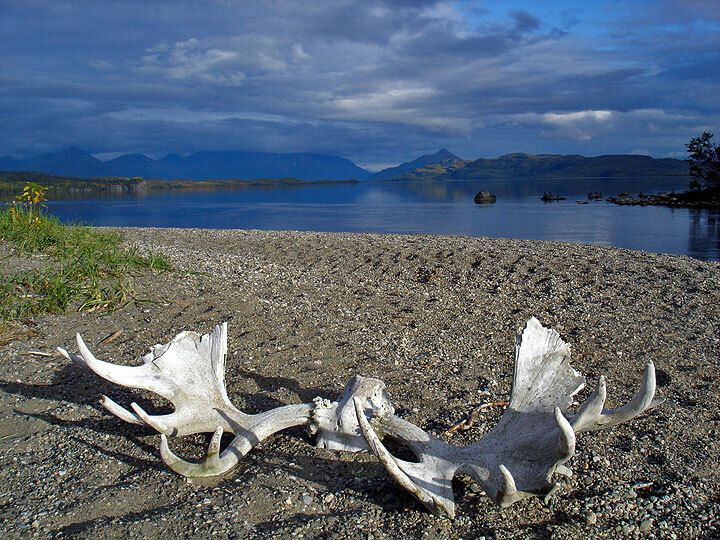 Each season, a variety of animals such as Moose, Alaskan Brown Bear, Bald Eagles, Wolves, Lynx, and Wolverine, can be seen (sometimes without even leaving the lodge). 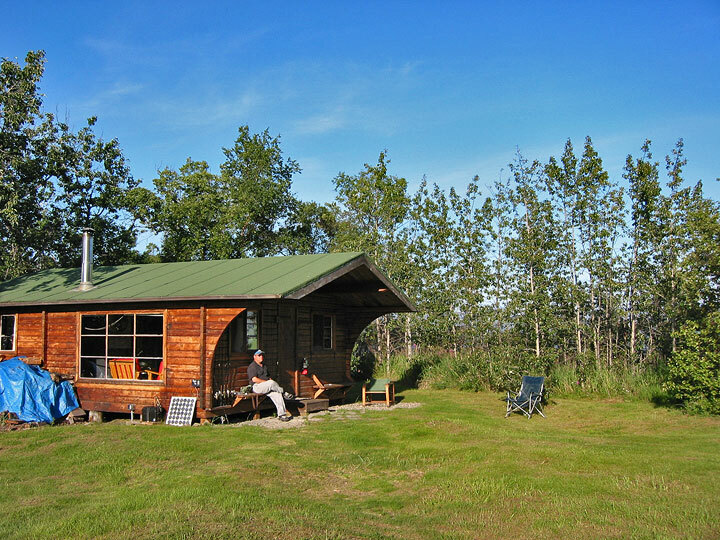 Expect seclusion and comfortable accommodations at Grosvenor. 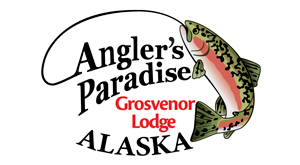 Grosvenor Lodge can accommodate 4-6 guests at the lodge during any given time, providing the "it feels like my own fishing lodge" experience. 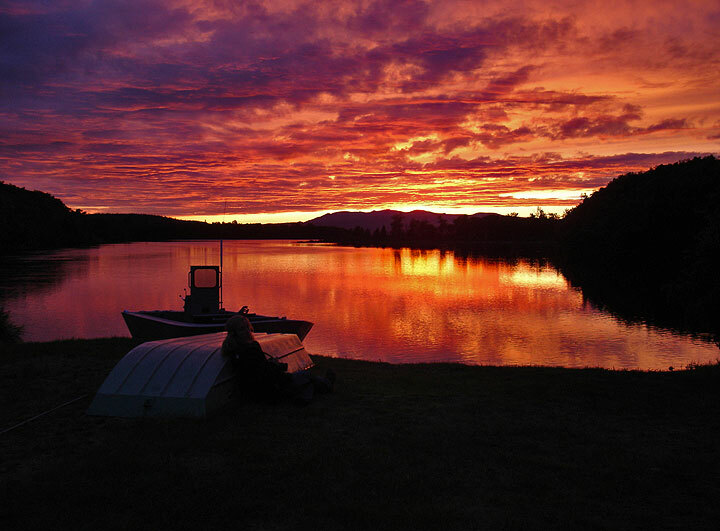 This environment is ideal for families, business associates or a group of fishing buddies. 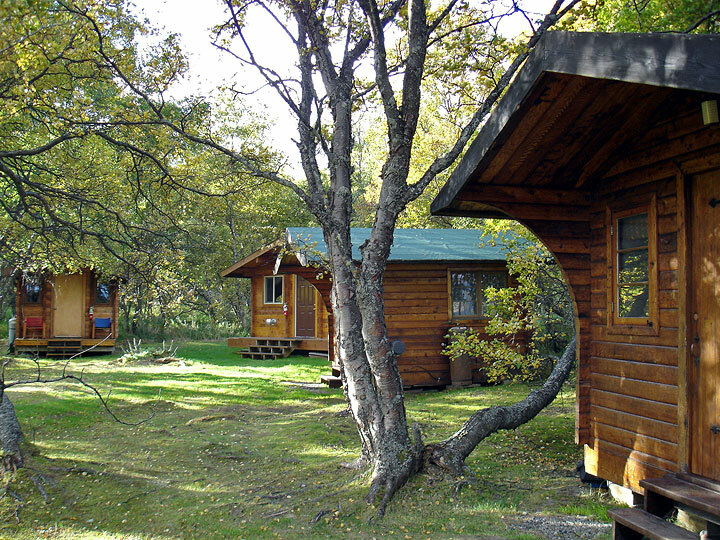 Guests are accommodated in the three guest cabins which have heat and electricity. 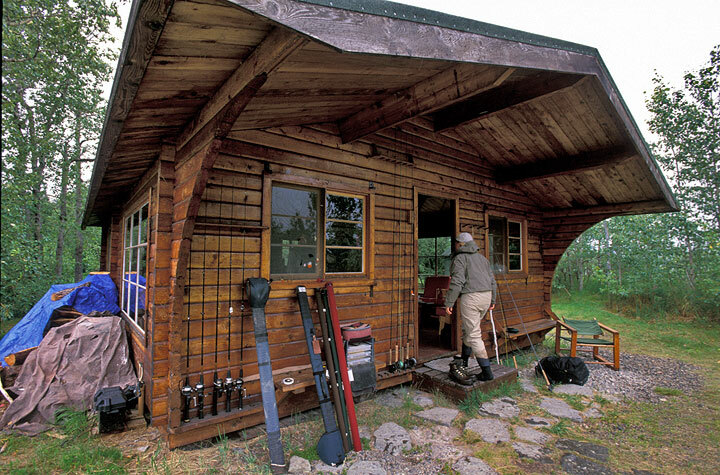 A completely modern bathhouse is situated right next to the cabins. 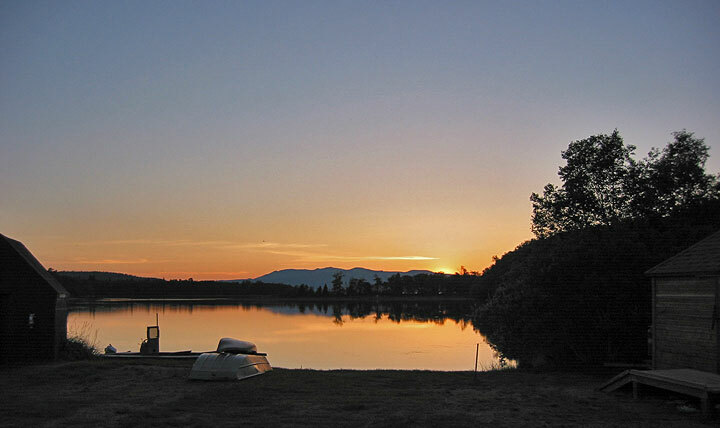 The kitchen and dining area feature a great view of Grosvenor Lake. 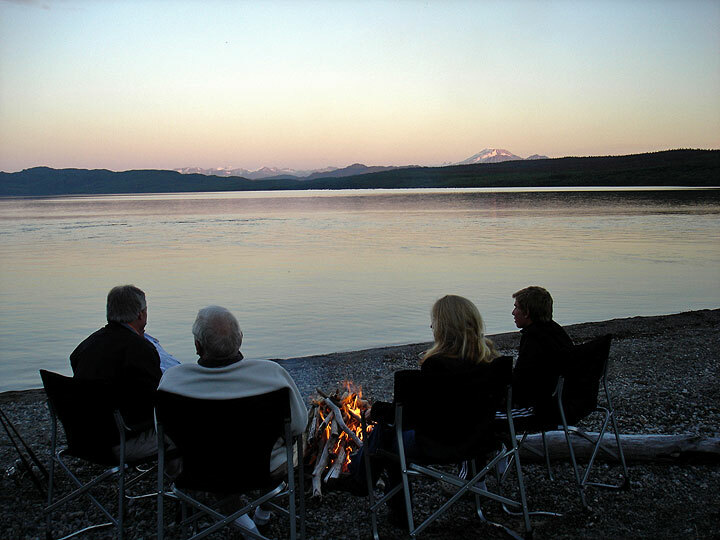 Fishing stories are told in the main lodge which houses the lounging area and bar, where complimentary cocktails are served each evening. 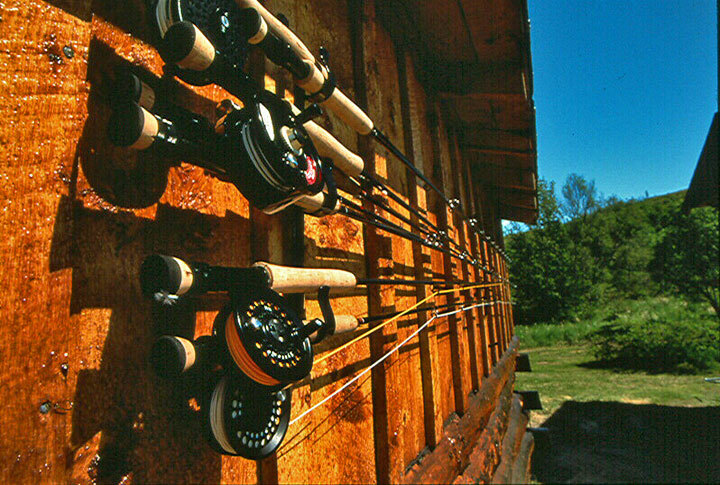 The personable staff, comfortable accommodations, and excellent fishing assure you a memorable fishing experience.